Texans love a good steak. Hence the many steakhouses scattered throughout the city and surrounding areas. 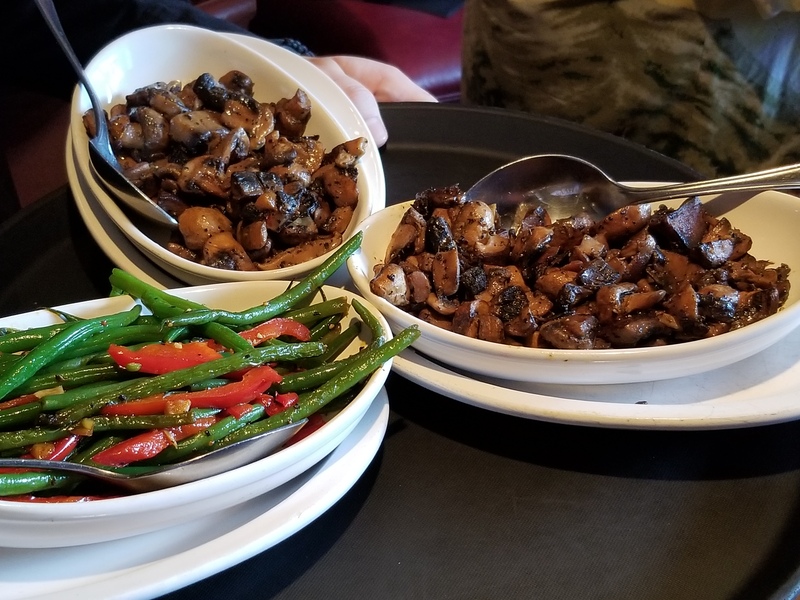 So when 2 Girls Who Travel were invited with our Houston Food Blogger Collective members to Fleming’s Steakhouse to try some of their chef table menu items, we jumped at the chance. 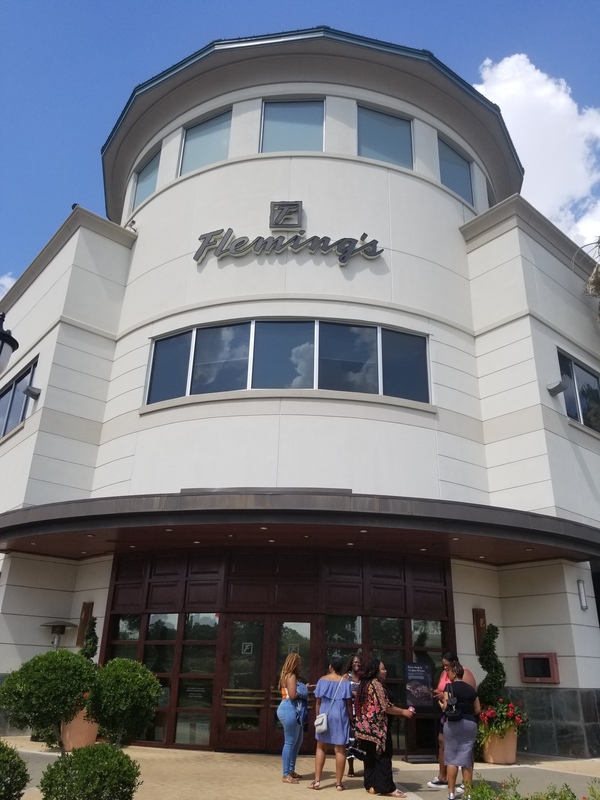 The tasting was at the Town and Country Village location, one of three Fleming’s locations in the Houston area. 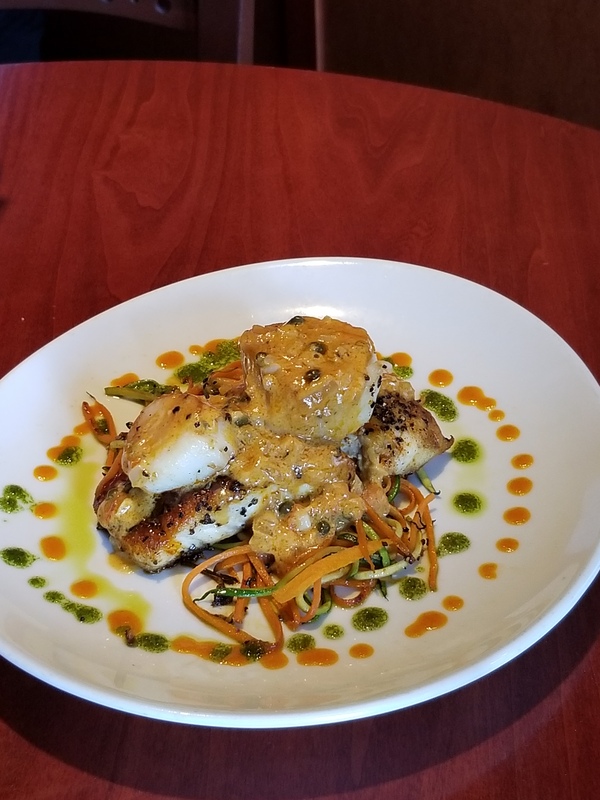 Fun fact: Did you know Fleming’s Steakhouse is part of Bloomin’ Brands, a company of restaurants that includes Bonefish Grill, Carrabba’s Italian Grill and Outback Steakhouse? The restaurant was closed to the public for our tasting, so while the chefs prepared the food, we enjoyed white wine! 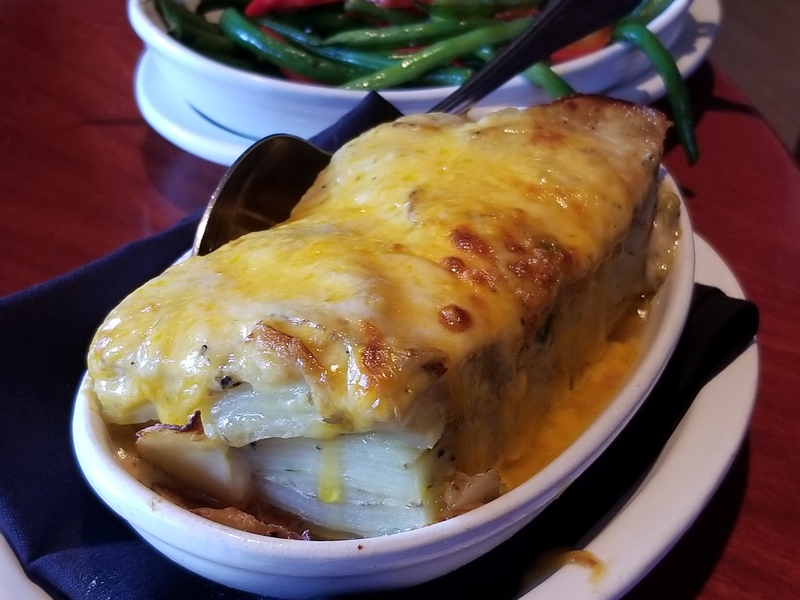 Now, if you’ve ever been to Fleming’s before (which you probably have because as we mentioned previously – steak), you know how good their food is. But keep scrolling for a few more reasons to drop in. 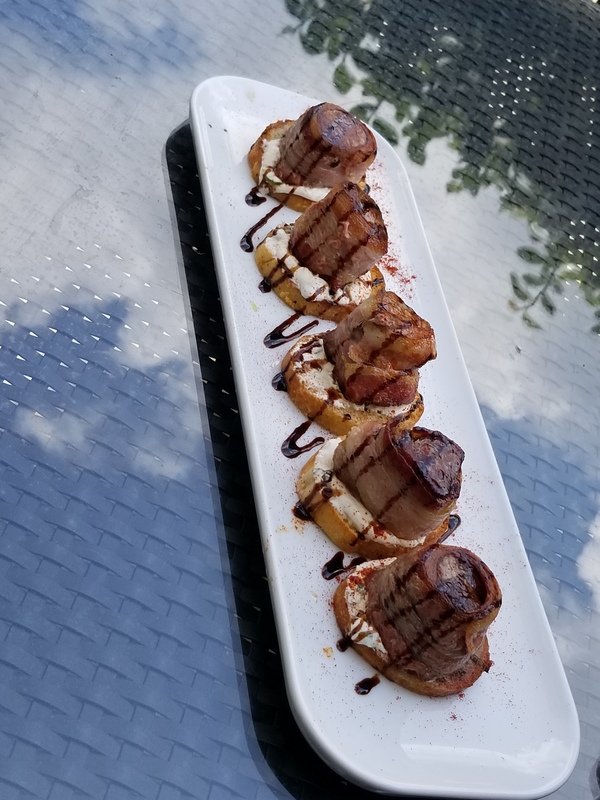 Some of the delicious menu items we sampled are below. Enjoy! 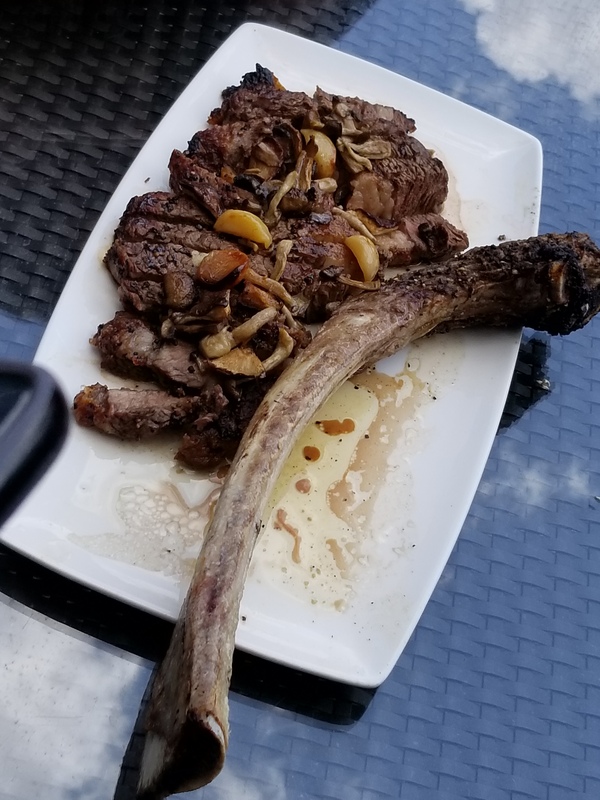 Yall, this prime tomahawk steak – that flavor, that tender meat, that garlic – this was soooo good. 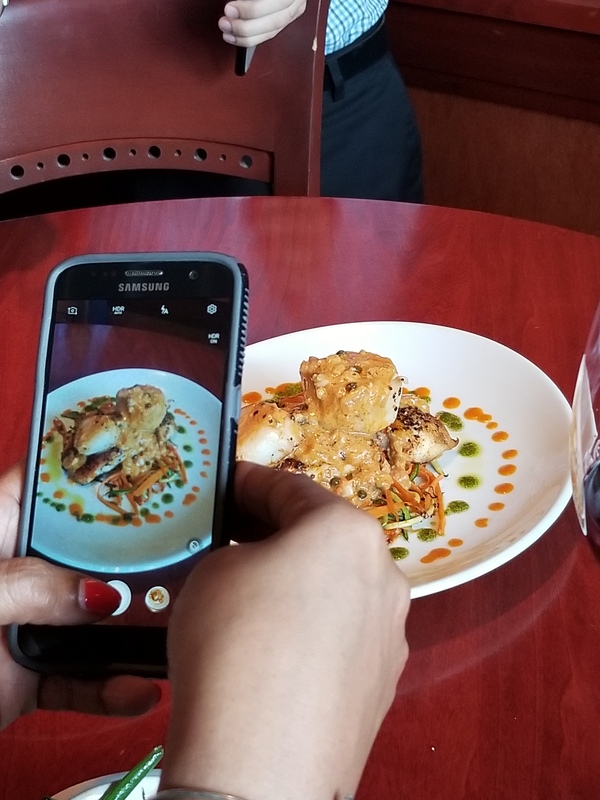 Bloggers always have to get that perfect shot! Don’t forget dessert. 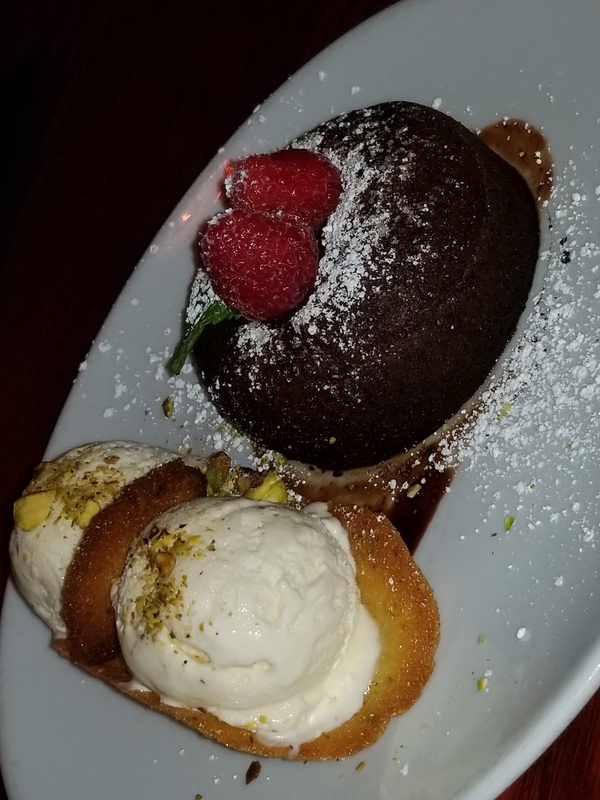 This chocolate lava cake was just enough sweetness to top off the meal. Fleming’s Steakouse Town and Country Village is located at 788 West Sam Houston Parkway North, Houston, TX 77024. Love this post! How does one join the Houston Food Blogger Collective?